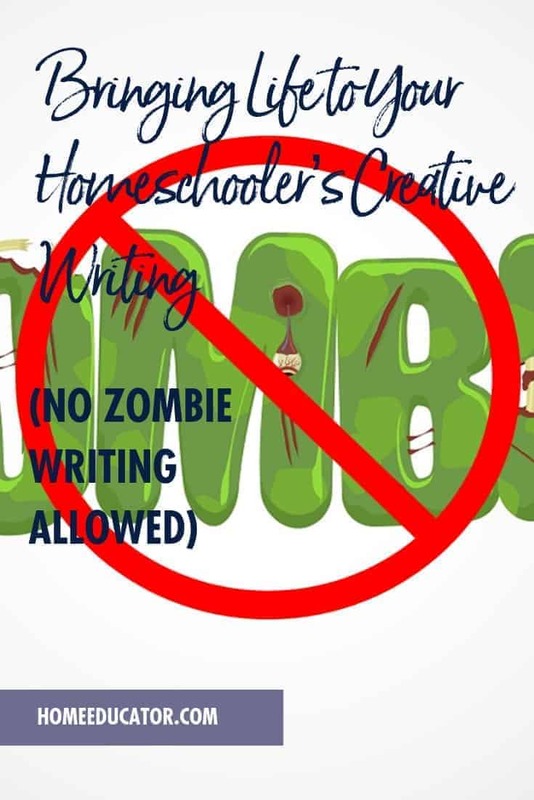 Does your homeschool students’ creative writing seem lifeless? If so, maybe they are “zombie writing.” But don’t leave those lifeless essays for dead! In this article, you’ll learn new methods for bringing writing to life in a way that is fun and memorable for your students! Recently, several of the students in my homeschool co-op elementary writing class were struggling with this concept, and I was struggling to find a way to break through to them. Then it came to me: zombie writing. That’s what some of them were giving me. In short, zombie writing NEEDS BRAINS! The next class, I requested a couple of boys to walk around pretending to be zombies. The rest of the class was highly entertained by their antics. I asked the class to describe zombies to me. They came up with all of these descriptions and more. to take note of characters’ body language. Then I asked another student to enter the room repeatedly, each time embodying the emotions of a word that another student called out. Mad: She stomped into the room, swinging her arms for all she was worth with a grumpy look on her face. Bored: She ever so slowly slumped into the room, rolling her eyes giving the impression that class was the last place she wanted to be. Happy: She skipped into the room, with a huge smile on her face, and grabbed one of her friends in a bear hug. After each entry, I asked the students to describe her actions vividly with adjectives and verbs in a complete sentence. These new sentences were much better than the students’ previous work. 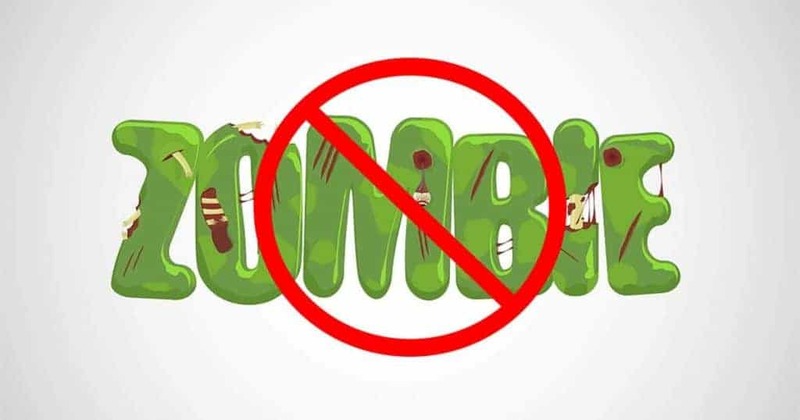 At times when we need to give the reader a bit of information, zombie writing using boring narration to deliver the information. However, by creating dialog, we can relay the information in a lively way. Instead of: “The house was red,” one of the characters can share that information by saying, “Ooooo! I love that shade of red!” The reader got a pertinent fact infused with emotion. Telling is simply summarizing a story without giving any mental pictures to the reader to go along with it. Telling = Boring! Showing is giving exciting details, often involving the five senses. By describing sensory experiences, the writer pulls the reader into the story making him feel, smell, see, hear and taste the same things the characters are experiencing. Showing = Lively! Answer the who, what, where, when and why with detail and description that excites the reader’s imagination and makes the reader want to keep turning pages. How to Teach Creative Writing: Step Outside the Box! The creative writing I began to receive after the “zombie” class was tremendously improved. My co-op students began showing instead of telling! Sometimes all it takes is a new and different way to explain writing concepts. Let your students act like zombies and then compare that to a display of various emotions. Have them write sentences that reflect those emotions with rich adjectives and verbs. With the memorable example of what to avoid, your students will be better able to integrate the five senses into their writing, bringing the text leaping off the page and creating stories that are enjoyable to read. Was this article helpful to you? We believe homeschooling is one of the best educational models, which is why we support families with encouragement and practical resources like you found in this article. Won’t you join us in making these resources available to homeschooling families by becoming a member? Ruth O’Neil has published hundreds of articles in dozens of publications. You can visit her at Ruths-Real-Life.blogspot.com or on her website at RuthONeil.weebly.com. Ruth spends her spare time quilting, scrapbooking and camping with her family.